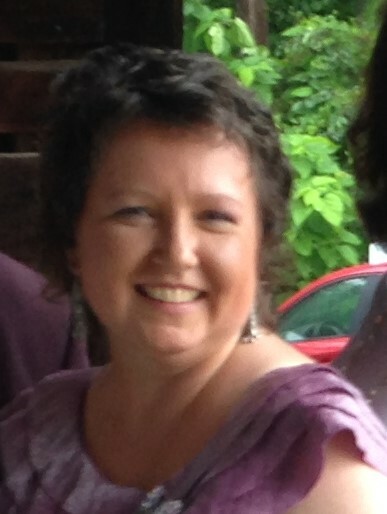 Obituary for KRISTINA T. (DZURENKO) GIBLOCK | Stanley J. Krish Funeral Home, Inc.
Kristina T. Giblock, 45, Duncansville, passed away at her residence after a courageous battle with diabetes. She was born in Altoona, daughter of Joseph M. Dzurenko and the late Kathleen Margaret (McDermott) Dzurenko. Surviving are two daughters: Brooke C. Nitz and husband, Kevin and Victoria R. Weitz and husband, Michael; her father, Joseph; two sisters: Kathleen Prey and husband, Audie, and Virginia Keltz and husband, Lee, and their daughter, Emma; and her former husband, Joseph V. Giblock Jr.
Kristina was a graduate of Penn Cambria High School and she graduated from Mount Aloysius College, where she received her degree in early childhood development. She was employed by Garvey Manor Nursing Home, Hollidaysburg, and was the owner of Street Corner News at the Logan Valley Mall. She attended the Cathedral of the Blessed Sacrament, Altoona. She enjoyed spending time with her family and friends and Kristina was an adventure seeker who loved to laugh. Kristina enjoyed photography. Friends will be received on Friday from 2 to 4 and 6 to 8 p.m. Friday, July 27, 2018, at Stanley J. Krish Funeral Home Inc., 1204 17th St., Altoona. A funeral Mass will be celebrated at 10 a.m. Saturday, July 28, 2018, at the Cathedral of the Blessed Sacrament, Altoona, Monsignor Robert Mazur celebrant. Private inurnment will be at St. Michaels Catholic Church Cemetery, Loretto.